Optional Single Supplement: $1076 USD (number of singles limited). Touching down in Tel Aviv, we begin our exciting 10-day Israel tour by exploring the many museums and attractions in this modern city with a unique mix of European and Middle Eastern influences. As we make our way through the ancient land, we come across Biblical sites by the dozen, such as the city of Jaffa, the location that Jonah was swallowed by the whale. We see Caesarea, the region once inhabited by Pontius Pilate, governor of Judea at the time of Jesus Christ and Tabgha, the place where Jesus performed the miracle of the loaves and fishes near the Sea of Galilee. We see the site named in the Book of Revelations as the place for the coming Armageddon, where good and evil will fight in the final battle for mankind, to name but a few. 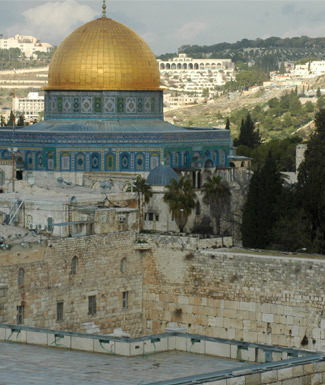 We see the remnants of 5,000-year-old early Bronze Age temples, underground Crusader cities, and stroll the streets of Jerusalem, where reminders of the three religions that shaped this part of the world - Islam, Judaism and Christianity - lie at every turn. I am very much impressed about this tour. Everyone liked my pictures that I've posted. I am lucky to see the Holy Land. 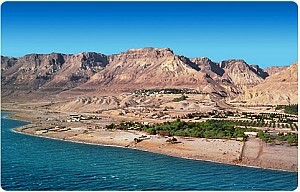 I did a side sightseeing tour and went to Jericho - saw the Judean dessert (very surreal) and Church of Annunciation, and city tour. Plus, I understand about the West Bank, Golan Heights, life in the Kibbutz and especially about the life of Jesus and the bible. It is one of the tours to do in your lifetime. Lorna (tour leader) is very professional. Can explain the historical sights. Have a sense of humor. Very articulate. Fits well her personality.Thank You for all your help. Old and new merge seamlessly in Jerusalem. You may hear the Muslim call to prayer competing with the clanging of bells from Christian churches and the prayers of Jews praying before the Western Wall. Everywhere you turn you'll see reminders of the three religions -- Islam, Judaism and Christianity -- that have shaped this part of the world. Our tour also takes us by way of the Knesset, Israel's parliament, to the President's House, and the Yad Vashem Memorial and Holocaust Museum for a visit and tour. Our tour ends in Jerusalem this morning. Land & Air customers will be transferred to Ben Gurion International (the airport serving Tel Aviv and Jerusalem - TLV). We can arrange airport departure transfers for Land Only passengers for an extra cost (payable locally), or you can make your own way (with Tour Leader assistance) and pay direct. Breakfast and dinner daily. All transport, accommodation, sightseeing and entrance fees for sites noted as 'visited' in the detailed itinerary. Gratuities for drivers, restaurant staff, porters, local guides. Airport transfers for land & air customers and for early arriving / late departing land & air customers who book their extra hotel nights through us. International airfare to/from the tour. Tour Leader gratuities, lunches, drinks, personal items (phone, laundry, etc), international (if applicable) air taxes, and any excursions referenced as 'optional'. Airport transfers for Land Only customers. Optional trip cancellation insurance. Our post-reservation trip notes offer further guidance on shopping, not included meals. This tour is offered in spring and fall when temperatures are the most pleasant. Spring is green season, while fall brings the harvest of dates, melons, grapes, and many other local crops. Showers are possible both times but the overall area is arid on average. Ground transport provided by private air-conditioned motor coach, 12-36 seats depending on ultimate group size. 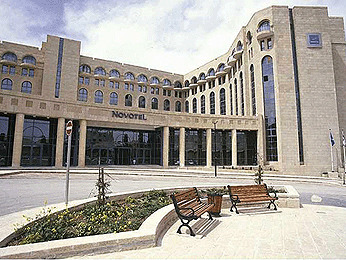 Hotels used on tour are well-located, air-conditioned, 3-4-star properties with en suite bath / toilet. Single rooms are limited and possibly smaller than twins. Porters are generally available (see 'Inclusions').